Originally penned by Ruel at just 12 years old, 'Don't Tell Me' is set to position him as one of the country's most exciting new independent alt-pop artists. Ruel's sophisticated lyrics glide effortlessly over M-Phazes stomping gospel production, making it little wonder why the Grammy winning producer, responsible for helping uncover artists such as Amy Shark, Meg Mac and Illy is backing Ruel to the hilt. 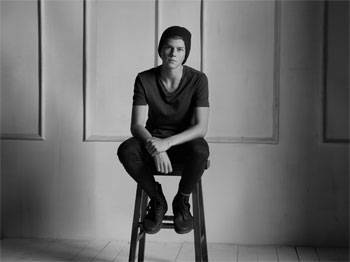 Released in April, Ruel partnered with multi award-winning Australian producer/songwriter and mentor M-Phazes on his latest single -Golden Years,' the second cut off the producer's highly anticipated upcoming album project. Ruel was discovered by M-Phazes when he was just 12 years old, after his father sent him a demo, not expecting to hear back. In development for the past two years under the wing of the prolific producer, Ruel completed a support slot with alternative R&B artist Gallant earlier this year. With a debut EP executive produced by M-Phazes due later this year and a multitude of live dates approaching, we certainly haven't heard the last of this unique talent.